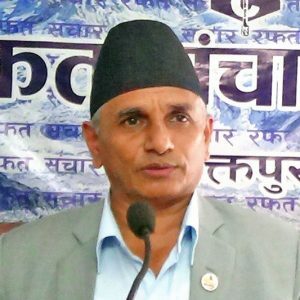 Kathmandu, Oct 7:Dr Govinda KC who started a fast-onto-death for the ninth time, putting forth various demands has withdrawn his protest for the time being. 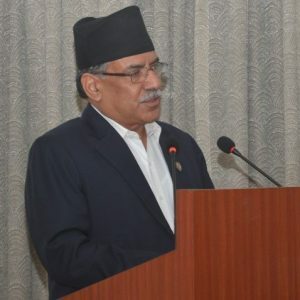 His demands include the reforms in medical education and initiation of impeachment process against Chief of the Commission for the Investigation of Abuse of Authority Lokman Singh Karki. 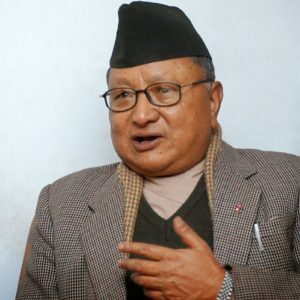 He announced that he was suspending the hunger strike during the Dashain at a press meet here Friday. 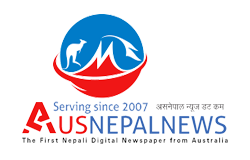 Endorsement of the medical education bill and implementation of the Mathema Committee report on health professional education policy are other demands put forth by Dr KC, the orthopedic surgeon of the Tribhuvan University Teaching Hospital, Maharajgunj. He had started his ninth fast-onto-death on September 26.